Square Enix released their JRPG Octopath Traveler as a Nintendo Switch exclusive upon launch last year. They now release a new trailer which will bring the title to PC in June 2019. The latest trailer gives a peek into what PC players will get to experience for Octopath Traveler. This is the first platform Square Enix has decided to bring the retro inspired turn-based RPG to, since launching on the Switch. Players will get to choose from eight different characters, each with their own immersive backstory as well as abilities in the fantasy world of Orsterra. The gameplay introduces turn-based battle but with an added “boost” ability which can give added attack power and combos during each turn. If you want to know more about Octopath Traveler you should check out our Octopath Traveler Preview – A Retro Turn-Based RPG With A Modern Twist. 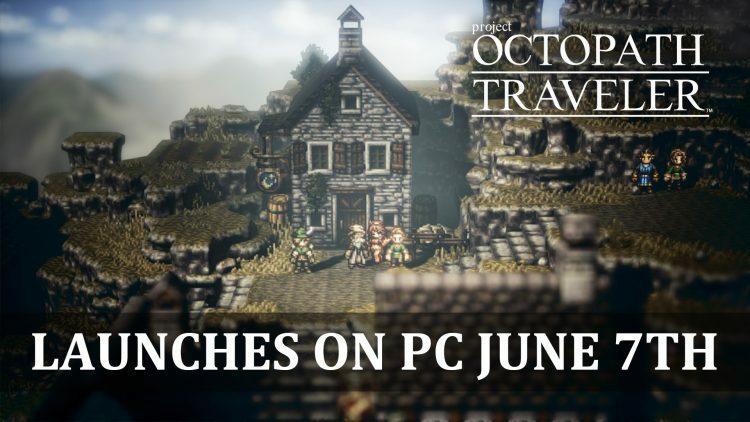 Octopath Traveler is currently available to play on Nintendo Switch and will launch on June 7th for PC. For more Square Enix news be sure to check out next Square Enix Reveals Final Fantasy VII Remake Co-Director Naoki Hamaguchi. You can also check out Persona 5 Joins Playstation Hits Now $19.99 and Warhammer: Chaosbane Shows Off Wood Elf Elessa.